Come to Ewald Chrysler Jeep Dodge Ram of Oconomowoc Wisconsin for all things automotive! Whether it is auto parts in Oconomowoc or a shiny new Jeep Grand Cherokee, Ewald Chrysler Jeep Dodge Ram of Oconomowoc Wisconsin has everything you need when it comes to new and used cars and car servicing. Our wide selection of vehicles for sale with Ewald Chrysler Jeep Dodge Ram of Oconomowoc WI features many different makes and models available for sale at awesome competitive prices that will help keep your wallet nice and full. Our professional and experienced staff members can help you find the vehicle that best fits your needs and desires, all at a price that will fit into your budget well, making a car buying experience with us an unforgettable, easy, and painless experience! 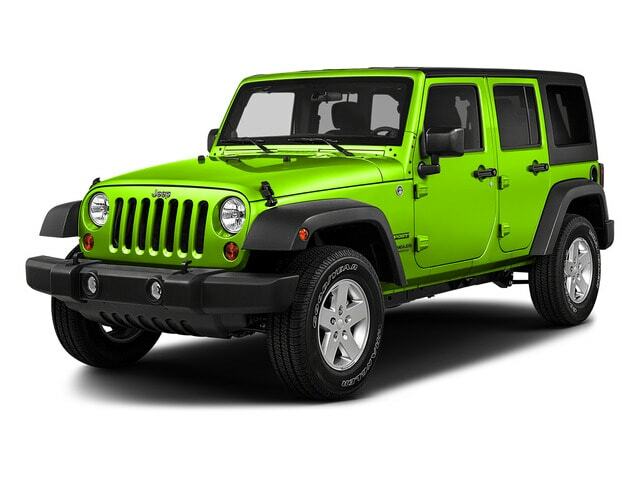 Come on in to Ewald Chrysler Jeep Dodge Ram of Oconomowoc WI today and check out our wide inventory of vehicles for sale from many different makes and models here in Wisconsin, especially our new Jeep models for sale, like this new Jeep Wrangler Unlimited for sale the 2016 Jeep Wrangler Unlimited Sport for sale! This awesome new Wrangler Unlimited for sale is one awesome vehicle to behold, with features like its Four Wheel Drive	that enhances its capabilities and gives you an extra boost whenever you may need it, and its Front Tow Hooks that will let you haul along anything that needs some pulling done, and much more! This New Jeep Wrangler Unlimited for sale here with Ewald Chrysler Jeep Dodge Ram of Oconomowoc Wisconsin has a whole lot to offer to you, so come on in to our location today and take a look at it for yourself! For more information on our jeep wrangler unlimited for sale, come by our location at 36833 E Wisconsin Ave Oconomowoc, WI 53066, and schedule one for a test drive today!